Have you ever wanted to know more about stink bugs? Given, stink bugs aren’t the most favored bugs in the world – even among entomologists. They’re called stink bugs for a reason. 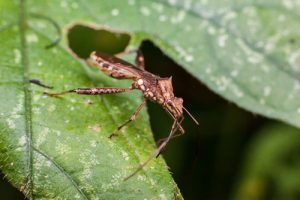 While they aren’t as well loved as other insects, they are very fascinating creatures as you will see in this article. For example, do you know whether stink bugs bite or not? We’ve put together a series of facts we bet you never knew about sting bug bites. Stink bugs received their name because of the unpleasant odor they release when they feel threatened or are afraid. It’s a defense mechanism if you will. One may say that the infamous smell is the only weapon these tiny bugs need to keep the threat away. However, closer study of the bug has also shown that the bugs have been known to bite. 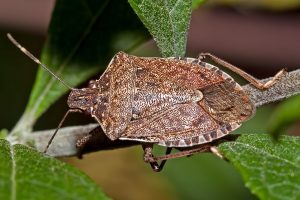 So do stink bugs really bite? Well, it actually depends on the species. There are some species that don’t bite and some that do bite. If you’re curious whether the brown marmorated stink bugs bite, you’d be glad to know they don’t. We understand your fears, the brown marmorated stink bug is one of the most common species in the U.S. You can rest assured, therefore, that this type of bug is harmless to humans. Is Stink Bug Bite Painful? If you’re ever on the receiving end of a stink bug bite, you should know that it’s going to hurt. Yes, a stink bug bite hurts and you can’t ignore the pain altogether. The skin turns red and you may compare the pain with the one you feel from a bee-sting. For many, one of the most disconcerting factors is that the pain of the bug’s bite has an extended time period and pain may be felt for up to three days. The target area may also produce pus so in a sense it’s actually worse than a bee-sting. How to Treat a Stink Bug Bite? If you’re going the natural route, then there are several options for you. Lavender oil is a common natural solution and it works well to reduce pain. Baking soda is another famous solution which helps a lot to soothe the numbing pain from stink bugs. 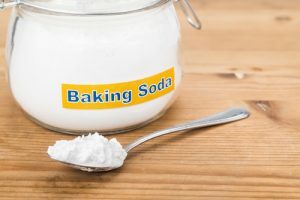 The best way to prepare a baking soda paste is to mix baking soda with vinegar. Baking soda neutralizes the acidity and results in significant relief within the first 15-20 minutes. Another effective natural solution is to use banana skins. Banana skin is an interesting solution. 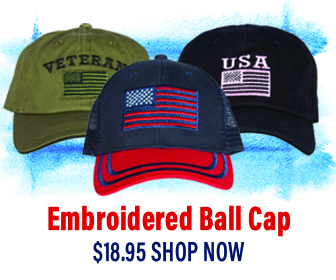 It’s easy and simple to use. All you have to do is just rub the inner side of banana skin against the irritating skin. In the case of intensive itching, the application of Epsom salt is better than banana skin and baking soda. Take some Epsom salt and mix it with water. Warm the solution up and then let it cool for a few minutes. Now, take a Q-tip, soak it in the solution, and rub it against the itching skin. Calamine lotion is the next best treatment that can be used to treat and soothe the burning sensation you may feel after a stink bug bite. Apart from reducing the burning sensation, dabbing calamine lotion also brings about a cooling effect. There are some individuals who have very sensitive skin, and as a result, tend to react a bit more than others with some swelling. If this is you, then aspirin is the best solution to deal with the bug-bite swelling. You’ll need to create a paste just like you did with baking soda. To do this, take a couple of aspirin tablets, crush them, and mix them with water to make the paste. Then apply the paste to the swollen skin. Apart from reducing the swelling, aspirin paste also weakens the chances of an infection and also of potential inflammation. Stink bugs don’t bite often but when they do, it hurts and causes a serious disturbance. This is why prevention is always better than cure. If you see a stink bug, it’s best to stay far from it. If the stink bug releases its potent smell, that’s one obvious way to know that the bug feels threatened. And a fearful bug may end up biting you. Getting forewarned is getting forearmed. So stay clear.